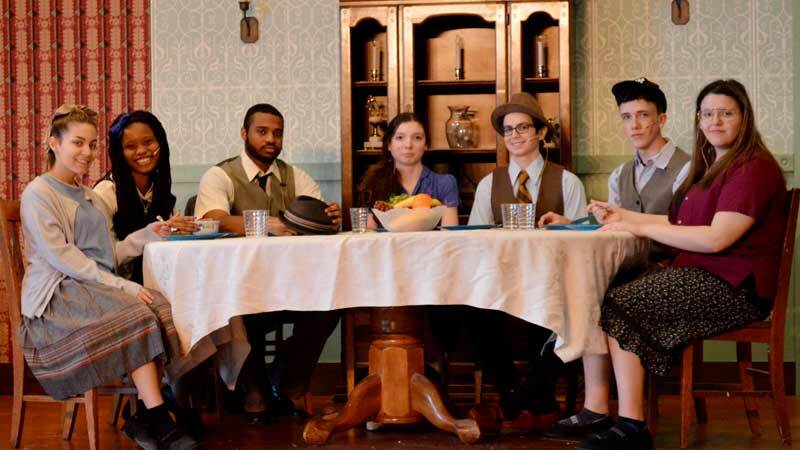 Community High School's talented Drama Department performed Brighton Beach Memoirs, on Friday, April 5th. Set in 1930's Brooklyn, New York, twenty-three cast members filled the stage with enthusiasm. Our director, Lisa Stein, added ensemble scenes to include more students eager to grace the Community High School stage. "It's great to be part of our school play. I try to allow everyone who auditions to be involved in some way." Students from the Music Department, conducted by our Music Director, David Graessle, set the scene with tunes from the 1930s. The stage sets were created by our skilled students, under the tutelage of Martin Lomascola.